100% Web-Based LIS gives you the competitive edge to grow your business with a low cost and high efficiency solution. WebPathLab is a 100% web-based comprehensive laboratory information system (LIS) solution accessible from any location with internet access with proper authentication. WebPathLab is designed as a fully scalable modular solution, with no need to purchase expensive servers, set up complicated networks to access the LIS and maintain an IT staff. WebPathLab’s modular design approach is uniquely suited for both the start lab as well as the well established lab requiring the complete life-cycle of laboratory operations. From the “PAY-PER-REPORT” program to the Unlimited LICENSING, WebPathLab’s pricing structure is designed to fit your unique needs. We would like the opportunity to give you a personal demo at your convenience followed by access to our demo site so you can TEST DRIVE it at your convenience. Email us at info@webpathlab.com or simply call us at 855.210.4012 and we will set up a time at your convenience for the online demo. You can also TAKE A TOUR of our featured videos. 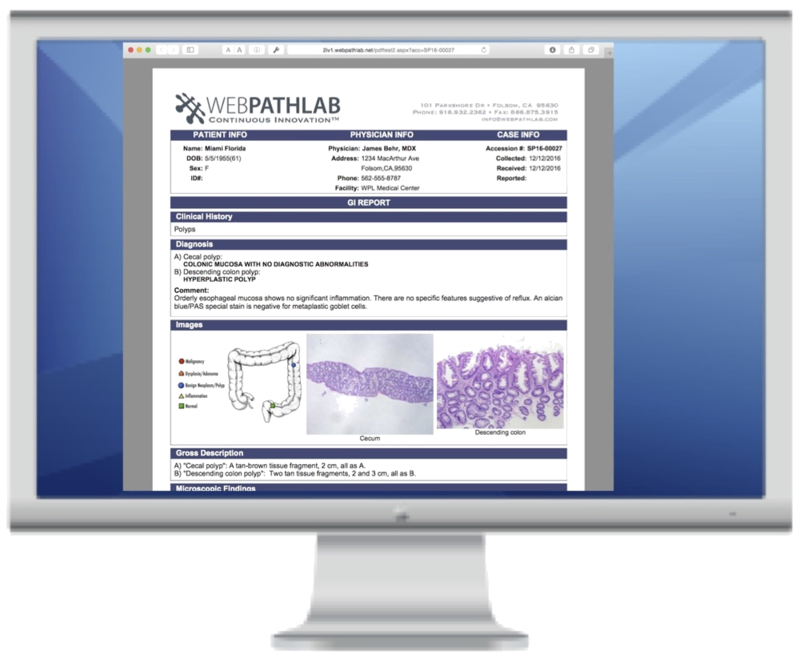 Our featured video shows how the pathologist would sign out reports using WebPathLab’s Dual View capability.